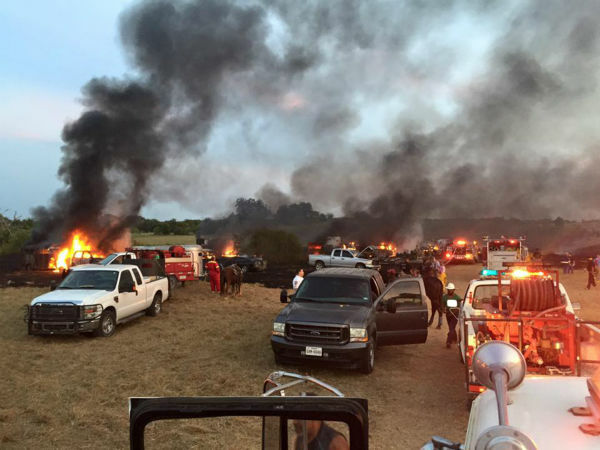 A fire destroyed more than a dozen cars and trailers during a trail ride in Central Texas. 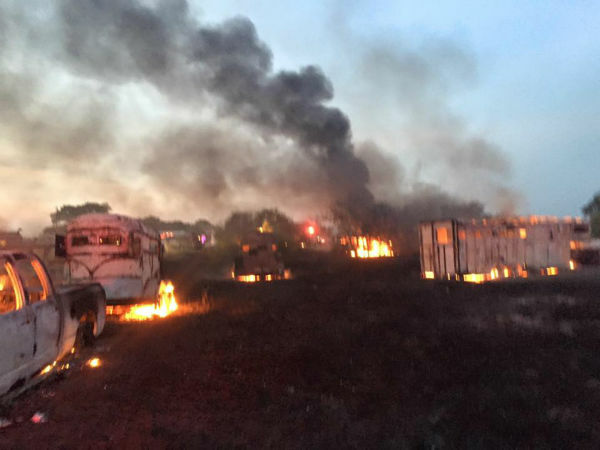 The fire erupted Sunday morning as hundreds of people were out on the ride in Lexington, according to the Blue Volunteer Fire Department Facebook page. 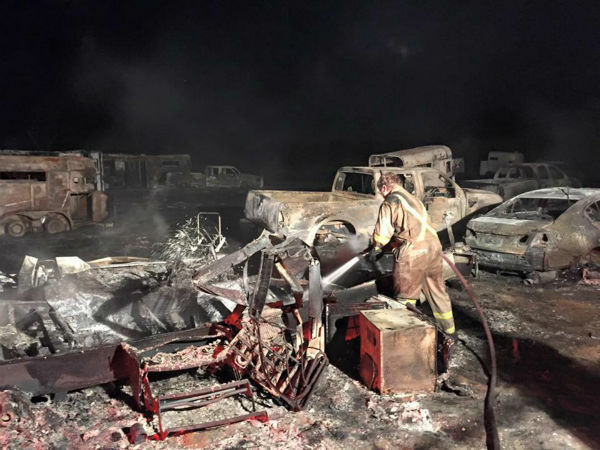 It took firefighters from five departments to put out the blaze. 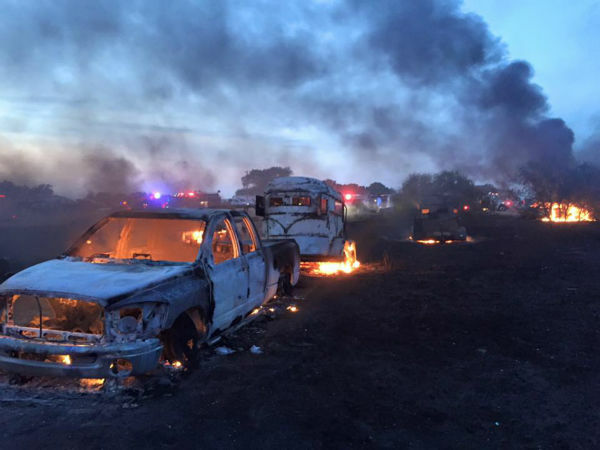 No one was injured, but the fire destroyed 15 vehicles and more than 12 trailers. 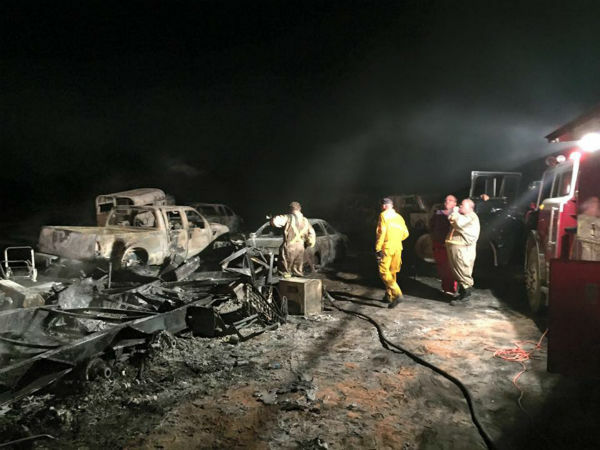 The Blue Volunteer Fire Department did not specify how the fire may have started.